Sitting at the centre of our Sports Authentic collection, our track jacket retains all of its original features. 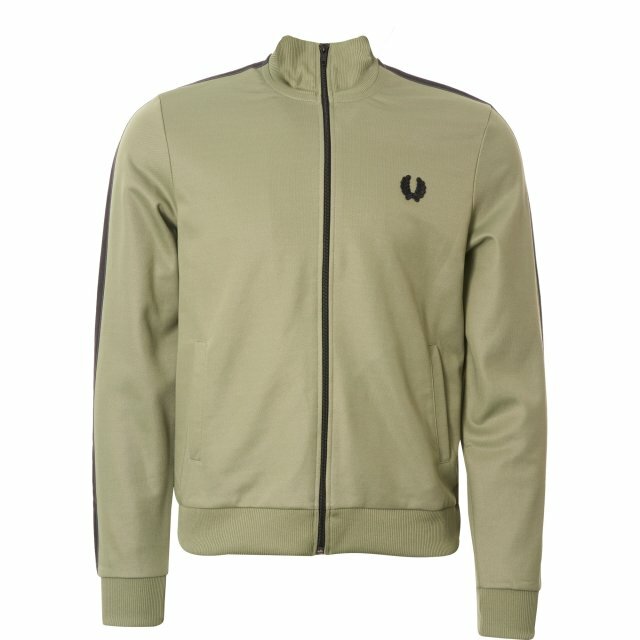 Made in shiny tricot fabric, with a white zip and Laurel Wreath track tape at the arm. Shiny tricot fabric Welt pockets Enamel-coated zip Laurel Wreath track tape at the arm Sports Authentic Laurel Wreath badge The Sports Authentic Collection revives some of Fred Perry's most iconic sportswear styles, from the ‘70s and beyond. Contrasting colours and man-made fibres were introduced to team kits, making them bright and durable. It was these styles that encouraged the evolution of sportswear as streetwear, and the track jacket took centre stage in the Britpop era. Made from a tricot fabric that replicates the original, the white enamel-coated zip is a reference to the cash-strapped time of the ’70s, when zips and branding were generic to all colours.